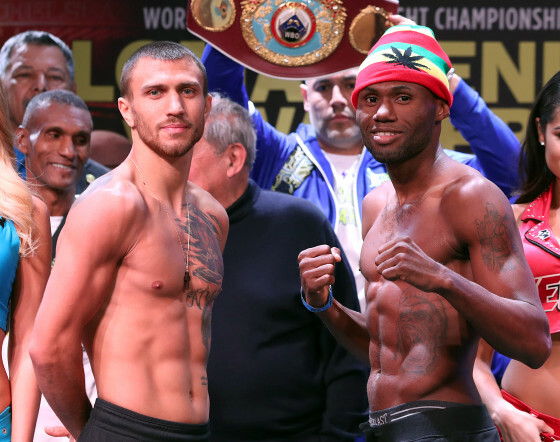 Hours from now the boxing world will be witness to a high-stakes clash between former super middleweight champion Andre Ward and WBA/WBO/IBF light heavyweight champion Sergey Kovalev, from the T-Mobile Arena in Las Vegas, Nev.
It’s been a busy fight week as usual, with several boxing luminaries on hand due to their involvement in the event, whether they are undercard fighters, managers, trainers, fans, and anything in between. 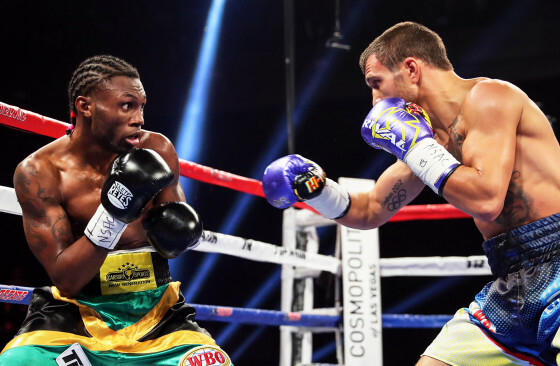 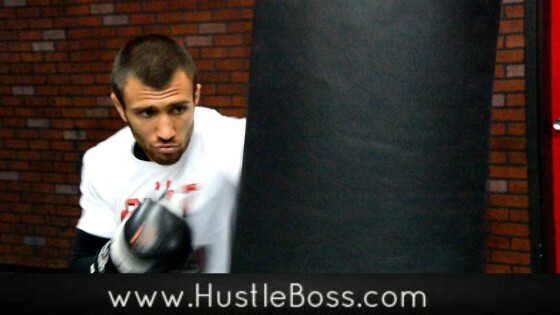 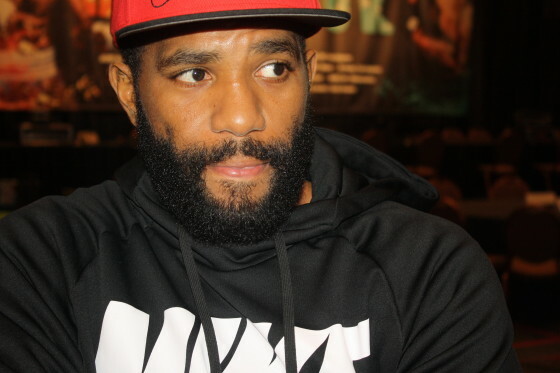 Was pleasantly surprised when I found out that former world champion Bryan “Tiquito” Vasquez has signed on to an exclusive agreement with Roy Jones Jr. Boxing Promotions. 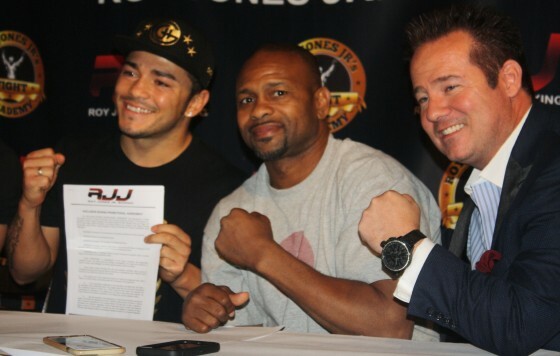 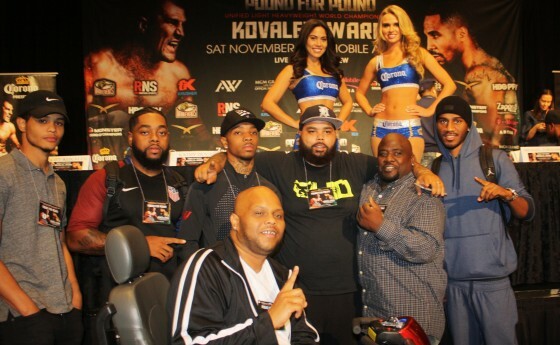 On Thursday evening, inside of the Brio Tuscan Grille in Las Vegas, Vasquez made the announcement 100% official by signing the contract, with 10x world champion Roy Jones Jr. and the company’s CEO/Co-Founder Keith Veltre on hand during the announcement. 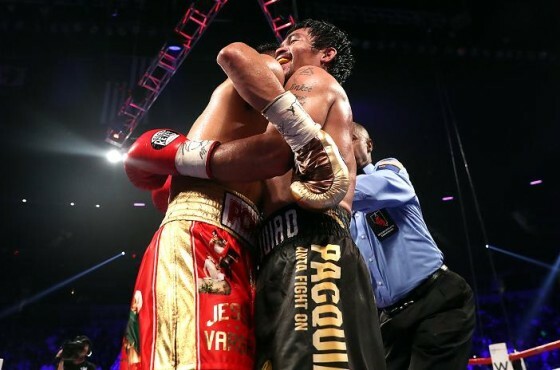 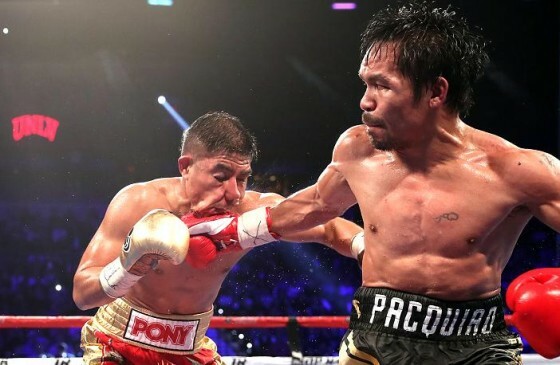 As expected, eight-division world champion Manny Pacquiao defeated Jessie Vargas this past Saturday night in Las Vegas, Nev. 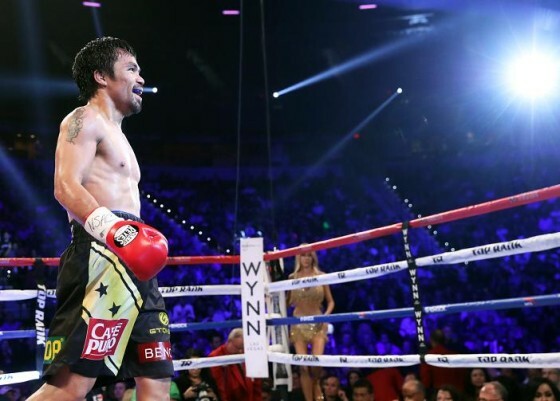 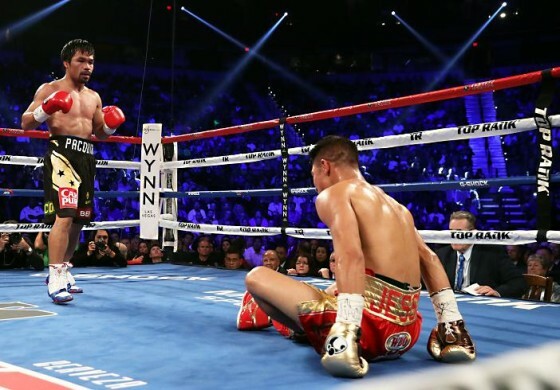 Inside of the Thomas & Mack Center, Pacquiao (59-6-2, 38 KO’s) was sharp, strong, and efficient throughout the fight, while Vargas, (27-2, 10 KO’s) lost no stock at all in defeat, showing true grit and determination in the face of his more experienced foe. 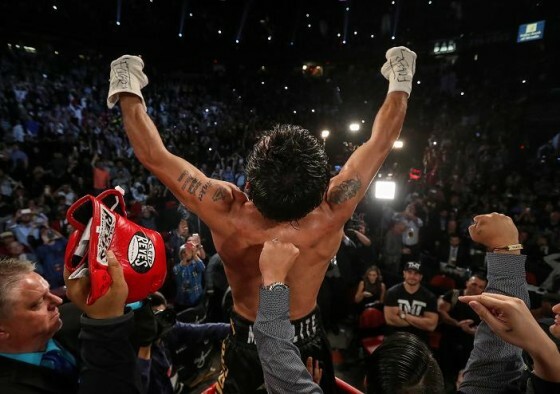 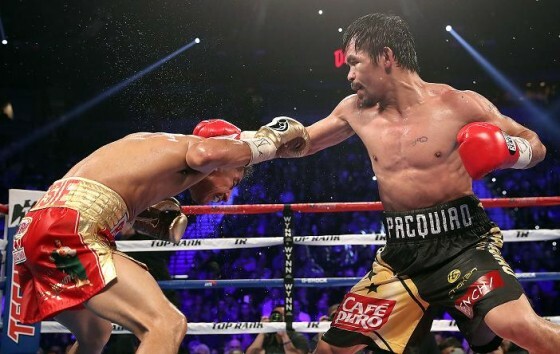 Pacquiao, 37, picks up the WBO welterweight title for a third time with the win and speculation about a rematch with Floyd Mayweather has begun. 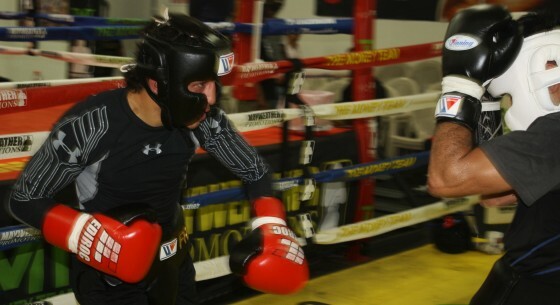 Check below for a closer look at the action. 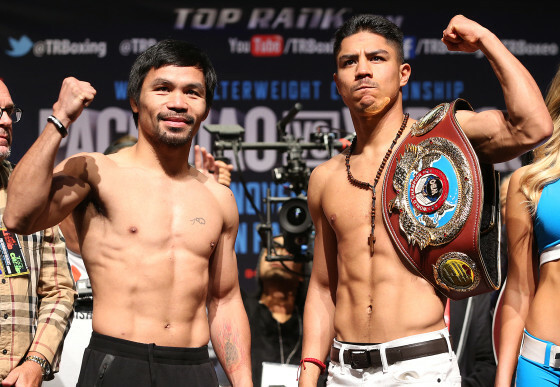 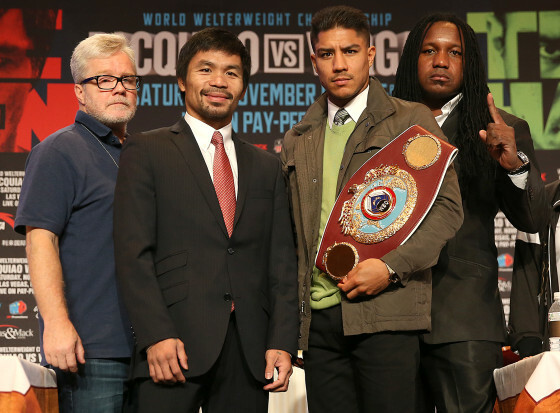 Later tonight, inside of the Thomas & Mack Center in Las Vegas, Nev., WBO welterweight champion Jessie Vargas (27-1, 10 KO’s) meets eight-division world champion Manny Pacquiao (58-6-2, 38 KO’s) in an attempt to make a first defense of his belt and also elevate his career to a new level. 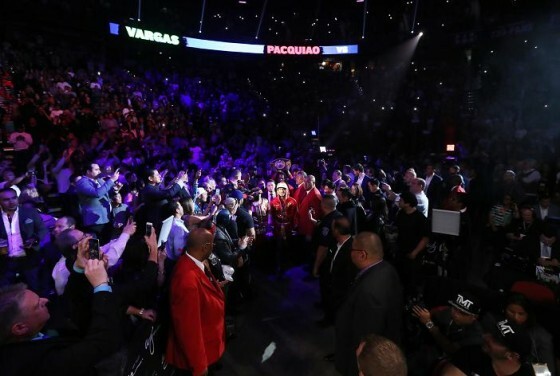 Vargas is a heavy underdog, anywhere between 6-1 to 7-1 according to Las Vegas odds makers, but he is not short of any confidence heading into the most pivotal fight of his career. 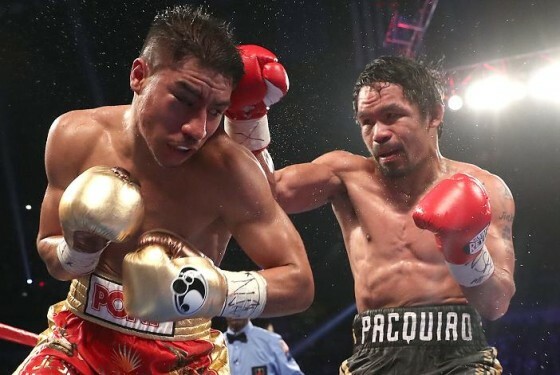 Vargas is coming off of his biggest victory to date, a ninth-round TKO over previously unbeaten Olympian Sadam Ali this past March, while Pacquiao is returning following an announced retirement that came after his victory over Tim Bradley in their third encounter. 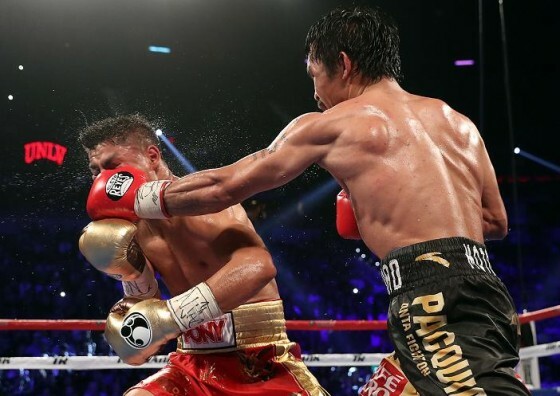 On Wednesday afternoon, inside of the Margaux Ballroom at the Wynn Las Vegas, the final press conference was held for this weekend’s Manny Pacquiao vs. Jessie Vargas pay per view event. 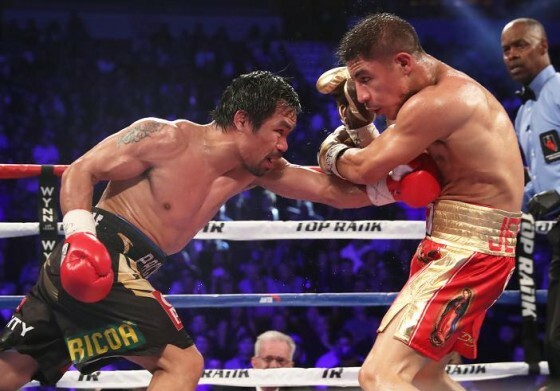 Vargas (27-1, 10 KO’s) will defend his WBO welterweight belt against Pacquiao (58-6-2, 38 KO’s) from the Thomas & Mack Center in a fight that he is considered a 7-1 underdog. 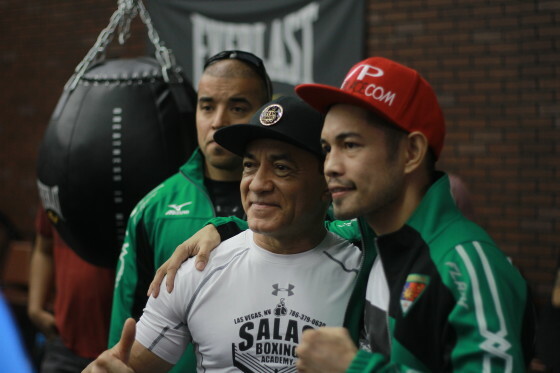 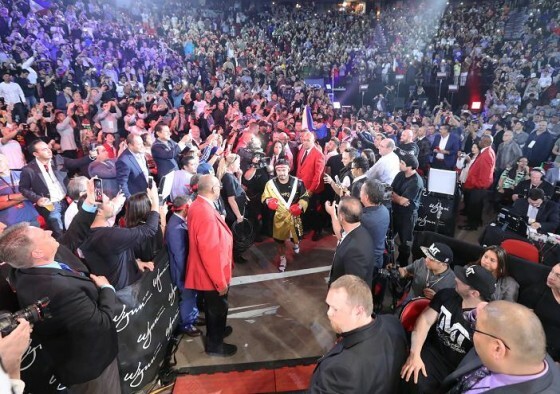 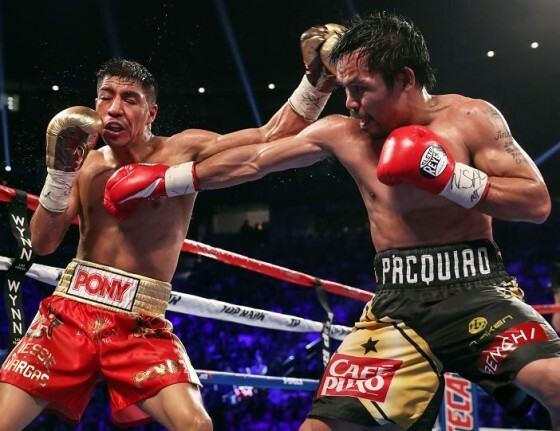 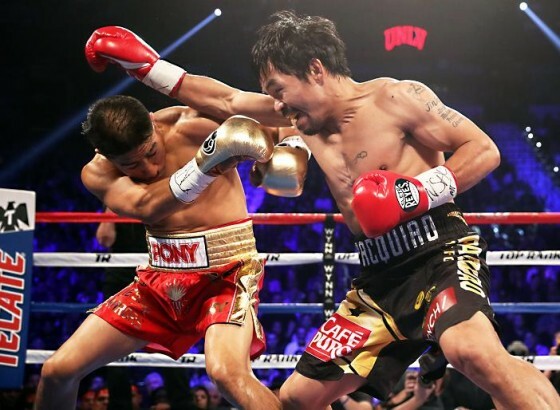 Fight Week has again descended upon the city of Las Vegas, as the Thomas & Mack Center will host this weekend’s Manny Pacquiao vs. Jessie Vargas pay per view showdown. 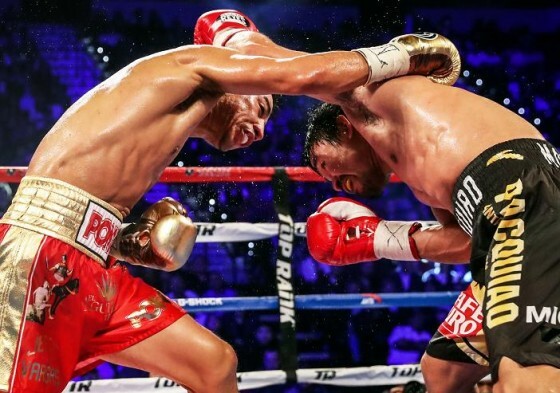 Vargas (27-1, 10 KO’s) will defend his WBO welterweight title against Pacquiao (58-6-2, 38 KO’s) in an independent pay per view to be held by promoter Top Rank.